In case you haven’t noticed, we’ve been on a roll with movie-inspired party ideas for kids lately! We’re having so much fun coming up with fun games, crafts and activities for kids’ birthday parties. Take a look a at our top movie-inspired party ideas! Every year, it seems like every kid wants to have a party based on the latest hit kids’ movie. Parents, on the other hand, want a party that really stands out. Sure, it’s easy enough to run out to the store, grab some themed cups, plates and napkins then call it a party. But really, where is the fun in that? Our party ideas include activities and games based on the movie inspiration behind the theme. Don’t be the parent that slaps up a “pin the tail on whatever character is hot that year.” Be the one that all the kids are talking about. The one that brings kids back year after year. Don’t worry, we’ll help! The LEGO Movie is super hot this year and with good reason! I took my son to see it and we both loved it. The great thing about the LEGO movie is that it has enough going on to appeal to both boys and girls. 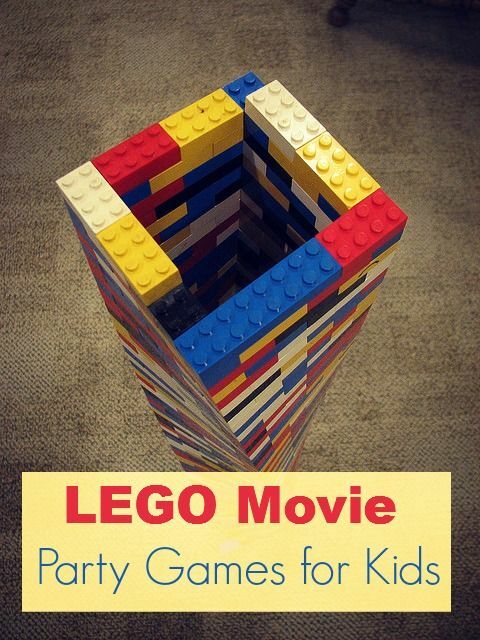 Our LEGO Movie Party Games give you some great ideas on how to keep the party moving. Got a Despicable Me fan in the house? 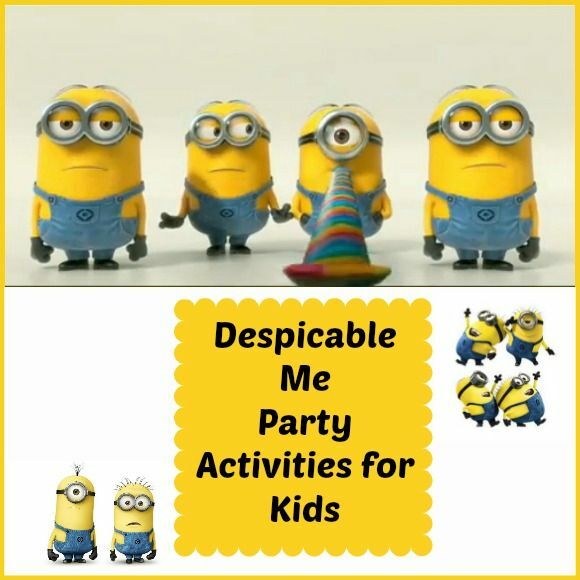 Plan a fun party complete with these awesome Despicable Me Party Activities for Kids! This is one of our most popular party ideas posts ever. With Mr. Peabody & Sherman coming out in theaters, maybe your kids will love to have a Time Travel party. There are so many different ways you can go with this! Ask kids to dress up in costumes from the past or put together crazy outfits of the future. 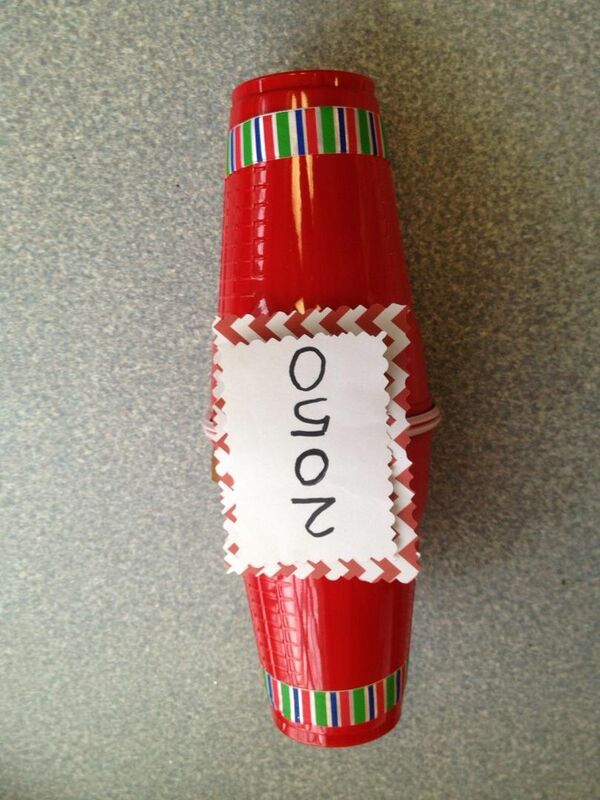 During the party, help kids make their very own Time Capsule craft to take home with them! Nut Job is another huge hit this year that makes for great party ideas for kids. If you’re lost on how to build a theme around it, considering going with a nature-themed party. 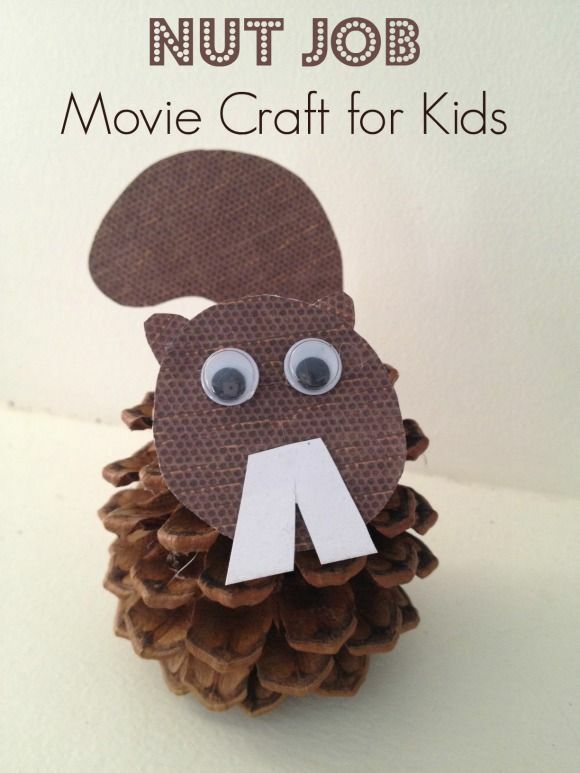 Kids will love making our Nut Job Pine Cone Squirrel. It not only gives you a great activity during the party, but also gives kids something to take home. With Disney’s Frozen releasing on DVD, kids will show renewed interest in a Frozen party. Check out this easy Frozen Craft for kids! Got a FreeBirds fan in the house? During your party, have kids make this fun FreeBirds craft for kids. Encourage the kids to use different colors and textures to create their birdie. Younger kids love Disney’s Planes. We have an easy activity that even an older toddler could do with a little help. Check out our DIY Airplane craft for kids. With so many great movie-inspired birthday party ideas for kids, you’ll surely be deemed “coolest mom ever” after your next party! What movie-inspired party themes do your kids love the most? Those are a lot of fun party ideas! 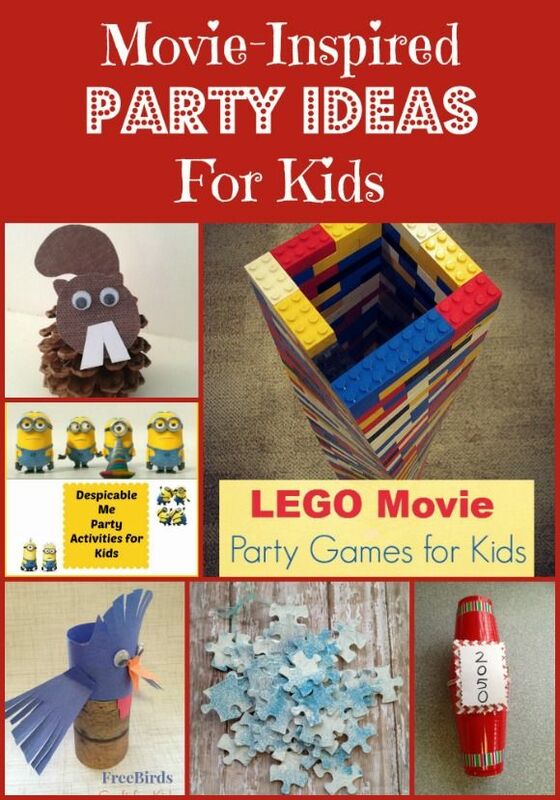 My kids would go bananas over the Lego Movie or the Despicable me movie party idea. We have not seen the Lego movie yet. My boys keep begging to see it. I’ll have to give in and take them soon. The Nut Job and Lego movie ideas are my favorite! Great post! What fun ideas! My nephew would love a Despicable Me party. He is minion crazy! I would like the Minion Inspired party. Cute ideas. I think my nephew would love the lego one the best. Love your Nut Job craft idea! Lego Movie and Despicable Me would be definite faves here but I’d say Frozen would be a close third. Fantastic ideas! We’ve had Thomas and friends, Mickey Mouse Clubhouse, Jake and the Neverland Pirates and Disney Princess parties, no actual movie parties. My eldest is 5 this year, I have a feeling he may want a Lego theme- Lego mad- if I hear “I Feel Awesome” once more… Great post.